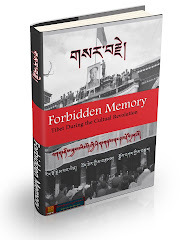 The Tibetan writer Woeser, in her blog entry of November 24, relayed as a blog entry some information that had been left over some time as anonymous comments on her blog. The comments, by Wiki Independence (“维基让赞”（“让赞”是藏语，意为“独立”）discussed some aspects of Chinese Communist Party United Front Work Department activities on Tibetan affairs both abroad and within China. Perhaps this is a kind of Chinese Wikileak? 1. The shadow of the 50-centers [Tr. Note: derisive term for propaganda hirelings of the Party propaganda department, which allegedly pays 50 cents for each party friendly posting attacking party critics. 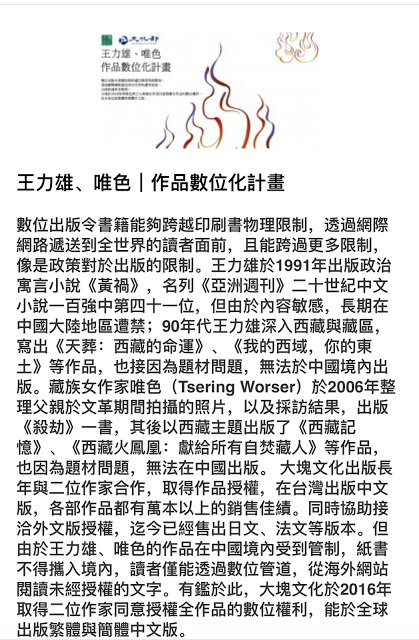 End note] has appeared in Chinese language media in North American and Europe. They have bought some internet services established by Chinese people in order to make propaganda for China’s Tibet policy and to criticize the Dalai Lama. 2. The Central Committee’s United Front Work Department regularly sends Tibet experts to the United States, Canada, Australia, and many European countries. Most of these experts are scholars from the China Tibetan Studies Center and leading cadres from the TAR Propaganda Department. The China Tibetan Studies Center is directly subordinate to the United Front Work Department. 3. 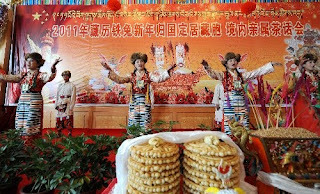 Sending song and dance groups abroad for the Tibetan New Year. The PRC Embassy in Kathmandu has held Tibetan New Year celebrations for several years, last year they added a new program, giving over 100 Tibetan compatriots red envelopes with USD 100 in each envelope. Since 2006, Tibetan performers have been sent to Switzerland every year, exciting protests against them by Tibetans in Switzerland, so they confine their activities to a small area. 4. Every year groups of Tibetans are organized to travel around China to see the sights, eat and drink. 5. The Office of Overseas Chinese Affairs (under the State Council) since 2010 has taken part in Tibetan compatriot work, and has send groups to Nepal, Switzerland and other countries to corrupt the Tibetan compatriots. 6. The All-China Federation of Returned Overseas Chinese invites not only overseas Chinese from various countries but also Tibetans to come back to China to take part in conferences, to be propagandized about China’s Tibet policy and hear criticism of the Dalai Lama and “Tibetan independence”. 7. It has become harder for Tibetan compatriots living abroad to come back to China to visit relatives. The paperwork for coming back to China is complicated, after filling it out it is necessary to wait for it to be approved in China. The application goes to the TAR United Front Work Department and is approved only after the local police station determines that the relatives do not have any political background. Then the United Front Work Department issues a TAR permit that makes it possible to travel to the TAR. This takes at least 3 – 4 weeks and many Tibetan compatriots living abroad have been refused permission to travel to the TAR to see their relatives. There are four units authorized to issue TAR entry permits: the United Front Work Department, the Travel Bureau, the Commerce Bureau and the Foreign Affairs Bureau (that is the TAR Foreign Affairs Bureau). 8. Thirteen Tibetan compatriots living abroad participated in the TAR’s “Celebration of the Sixtieth Anniversary of the Peaceful Liberation of Tibet”. Five were from Switzerland, two from Nepal, one from Australia, one from Sweden, two from the UK, one from Italy, one Tibetan just returned to China. I won’t mention the names here. 9. The All-China Federation of Returned Overseas Chinese is in name a civic organization but it is really an arm of the United Front Work Department. Since 2007 it has been charged with doing the Party’s propaganda work on Tibet. It has already been determined that there are eight secret members among Tibetan compatriots in foreign countries: two in Switzerland, one in Nepal, one in Taiwan, one in the United States, one in Germany, one in the UK, one in Italy. I won’t mention their names here. 10. The State Council Overseas Chinese Affairs Office has a new initiative, setting up a foundation for Tibetan compatriots so as to persuade them to come back to China to study Chinese. This year there are two Tibetan compatriots who returned from abroad to study Chinese — one is in Chengdu, one is in Kunming. 11. The United Front Work Department has sent people as PRC diplomats to those countries where there are larger numbers of Tibetan compatriots. They have special funds at their disposal and are not under the guidance of the Ministry of Foreign Affairs. Most of these officials are Tibetans. The United Front Work Department, the Ministry of Foreign Affairs and the Central Committee’s Propaganda Department do not cooperate in their Tibetan work. Currently, the United Front Work Department has two people in New Delhi, one in Djakarta, two in Kathmandu, one in New York, one in Zurich, and one in Ottawa. I won’t name them here. 12. Since March 14, 2008, all the telephones in the Tibetan areas have been monitored. The security departments have installed advanced equipment that detects certain key words in the Tibetan words. If these words appear in a conversation, the equipment automatically sends an alert to the security departments that can then refer to the recording. Dissidents and suspected people are subject to 24 hour telephone monitoring. Some of the key words are Dalai Lama, freedom, independence, organize, India, Dharamsala, explosion, gun, fire, gunpowder etc. 13. In the Tibetan areas, issuing ordinary passports to Tibetans has stopped. There is a strict policy on the issuance of passports to Tibetans travelling abroad on official business. Since March 14, the issuance of long term residence permits to Tibetans living abroad has essentially halted. It has been determined that two were issued — one to Tagelin of Nepal, who is a relative of TAR Deputy Chairman Jiari and the other to a Genduo “Rinpoche” who is a close friend to the “Living Buddha” Papola. 14. The Deputy chief of the TAR United Front Work Department is an ethnic Tibetan named Suolang Renzeng. In August 2010, he invited to dinner several Tibetans who had come to the TAR to visit relatives. Every time he gives people his spiel: contrasting the present happy time with the misery of the old days, opening and reform, the excellent situation in Tibet today, the wolves of the “Dalai clique”. The Tibetan compatriots talked about what the Dalai Lama does and says overseas and remarked that that is very different from what you just said. You really should go abroad and have a talk with the Dalai Lama yourself. Direct contact can clear up many misunderstandings. Before the dinner was over, the deputy chief, very angry, pounded the table and walked away. One year later, in August 2011, Deputy chief Suo invited to dinner three of the Tibetan compatriots who were participating in the sixtieth anniversary celebration. What he said was almost completely the same as what was printed in the Tibet Daily. After reciting the propaganda spiel by heart, he asked the Tibetan compatriots to speak. Once again, they disagreed. They said that they (1) disagreed with the criticism of the Dalai Lama; (2) they came to participate in the celebration as individuals and do not represent anyone and cannot represent him; and (3) only allowing me to return to Lhasa but not to return to my native place is a violation of the policy that you just stated. This time Deputy Chief Suo didn’t pound the table so as not to harm the atmosphere of the 60th anniversary celebrations. He just made a half-smile and raised a glass in toast. 15. Due to the recent successive self-immolations of monks and a nun, to use the words of the government, many Tibetan areas are on a first level combat alert. Workers at different bureau take turns on 24-hour duty and guards and public security presence on important roads has been increased. There are plainclothes police throughout Lhasa and more plainclothes police than tourists on the Barkor. If someone dies, it is hard to find monks to perform a service since the monks are under tight control. 16. According to reliable information in the TAR Travel Bureau, when several years ago the Chinese Travel Service in Switzerland set up its first office, Beijing asked that a reliable Tibetan cadre be stationed there. After due consideration, it was decided that Cairang Dongjiu, a member of the party organization department of the Lhasa City Travel Bureau Party Committee would be sent. He was known for his advanced ideological position, was a party member, did his job well, and spoke Tibetan, Chinese, English and German. It was decided that after four years that another person would take his place and cadres were chosen in reserve. However, after three years, Cairang Dongjiu vanished. This made a big impression at the time. Several months later it was found that he had taken his younger sister, who had come from Beijing to “visit relatives” along with him to France and “traitorously ran away” to France where he got political asylum. After this, the travel office didn’t dare to send any more Tibetan cadres abroad. The foreign assignments of the two cadres were cancelled. Now one of them works in Lhasa and the other in Beijing. 17. TAR leading officials and their sons and daughters take bribes and interfere in the proper operation of government affairs. About 20% – 40% of the “assist Tibet” funds are stolen. Corrupt officials and businesspeople even stole all the funds for a small agricultural project of the Agricultural Science Committee. The next year, when the accountants looked at the accounts, it was just a formality of making a bribe and sending along some documents. Later nobody looked into the matter. In Chengdu, there are many companies that are involved in writing up documents for various TAR development projects and make a fortune doing it. The fee for writing documents for a project depends upon the size of the project. The fee for a 2 million RMB project is about 40,000 RMB. There is no need to go to the TAR — just give the company some figures and place names. Just a few days later you will have a planning document full of graphs. Writing a project document is the first investment that an unscrupulous merchant makes. Then he takes the project document and goes to bribe some officials or their sons and daughters. The standard price is 20% of the value of the project. If there is competition, it will be higher. Sometimes it will be necessary to go through some intermediaries. That bumps the price up, too. 18. The security services often send people to Kathmandu on business. They know Kathmandu well, it is said that their gathering place is a certain bookstore in Bodaha. 19. The secrets revealed above are very solemn secrets, please everyone take them seriously. Before I end this series, let me tell you a not so solemn secret. A secret of the sky burial site. As everyone knows, when a corpse is being cut up, in the old days the vultures would circle overhead and descend only when they hear the order of the sky burial attendant. Now things are different. Every vulture has a name and they are called down one-by–one. It is enough to make you laugh so hard that your teeth fall out. The names are Tibetan names like Redi, Basan, Pengcuo, Dorje, Tanzen, etc. But the vulture with the sharpest cry is called Caidan Drolma [Note: Famous singer and now vice chair of the TAR People's Consultative Congress. ] You don’t believe me? Go to the Lhasa Sky Burial site and see for yourself, this is absolutely true.